This 1926 Harley Davidson was purchased by my fathers uncle in 1929. 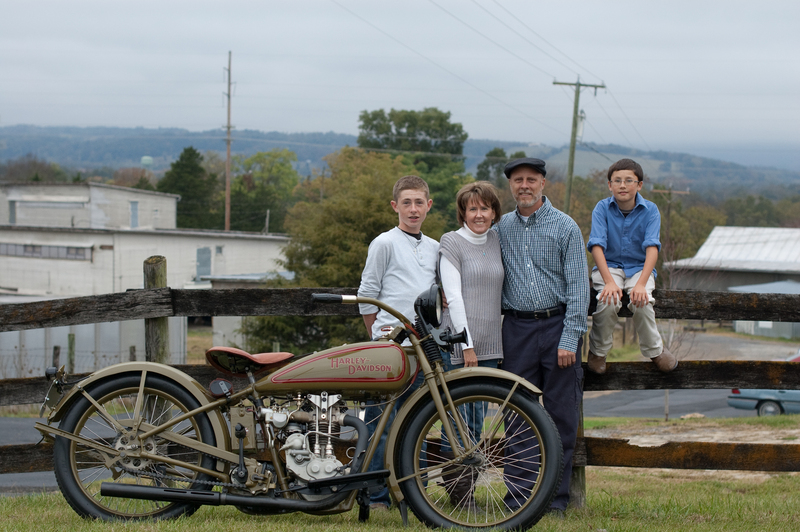 He used the motorcycle as a patrol bike as a deputy sheriff in Fulks Run, VA. After he stopped using the bike for patrols it was used by his kids to ride around on the farm. My dad always like the motorcycle as it was ridden by the family. He tried to purchase the bike from his uncle but he never would sell it. When his uncle died my father was then able to purchase the bike from the estate for $40.00 and my dads brother laughed at him for paying that much. That was in 1965 and in the later 60’s he had the bike restored and showed it at many national shows. In 2004 I decided to re-restore the motorcycle for my dad to a Concourse level. 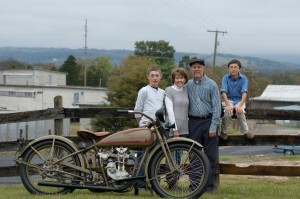 It has won many AACA shows (Jr and Sr), Grand Nationals, and the Antique Motor Cycle Club of America 1st Junior. It was also invited to a Concourse D’Elegance show in Ohio. It is a single cylinder over head valve. They call it the “pea shooter”, it was the racing version of the engine.